Sharon Short is the author of the novel My One Square Inch of Alaska (Penguin Plume) in which a pair of siblings escape the strictures of the 1950s industrial Ohio town on the adventure of a lifetime. Sharon has twice received Ohio Arts Council (OAC) Individual Artist Grants (2012 and 2016) for her fiction. Opening chapters of Alaska earned the 2012 OAC grant as well as a Montgomery County (Ohio) Arts & Cultural District Literary Artist Fellowship (2010). Based on chapters of her current suspense novel-in-progress, The Widows of Kinship Road, Sharon earned her 2016 OAC grant and was named the 2014 John E. Nance Writer-in-Residence at Thurber House in Columbus, Ohio. Additionally, Sharon's book Sanity Check: A Collection of Columns includes 100 reader-favorites of her weekly humor and lifestyle column that ran in the Dayton Daily News for more than a decade. Sharon has also published two mystery series (Josie Toadfern Stain-Busting Mysteries and Patricia Delaney eGumshoe Mysteries) as well as short stories and essays. Sharon is the Literary Life columnist for the Dayton Daily News and is the Executive Director of the renowned Antioch Writers' Workshop in Yellow Springs, Ohio. She is part of a fiction manuscript consulting group, "The Write Sisters." Sharon holds a B.A. 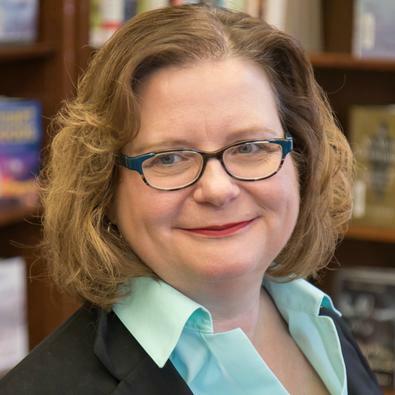 in English from Wright State University and in 2013 was named the university's Outstanding Alumna for the College of Liberal Arts Department of English based on her achievements as a writer, columnist and director of a literary arts organization. She also holds an M.A. in English from Bowling Green State University. She makes her home in her native state of Ohio. “Literary Life,” Dayton Daily News, Sunday Life and Arts section. From April 2012-present. “Sanity Check,” Dayton Daily News, Monday Life section. From November 2001-June 2012. Ohio Arts Council Individual Excellence Award, for coming of age novel, My One Square Inch of Alaska, 2012. Best Young Adult Historical Fiction, Chaucer Award, Chanticleer Book Reviews, for My One Square Inch of Alaska, 2014. John E. Nance Writer-in-Residence, Thurber House (Columbus, Ohio), for suspense novel, The Widows of Kinship Road, 2014. Quarterfinalist, Austin Revolution Film Festival Screenplay Competition, for screenplay adaptation of My One Square Inch of Alaska, 2015. Semifinalist, Drama Category, Reel Authors Screenplay Competition, for screenplay adaptation of My One Square Inch of Alaska, 2015. Official Screenplay Selection and Winner of Audience Choice Award for Screenplay, Female Eye Film Festival (Toronto, Ontario), for screenplay adaptation of My One Square Inch of Alaska, 2016. Ohio Arts Council Individual Excellence Award, for suspense novel, The Widows of Kinship Road, 2016. Presenter, “Teaching Reading” class, Miami University of Ohio, February 2014. Presenter, “Paths to Publishing” Seminar, Antioch Writers’ Workshop (Yellow Springs, Ohio), March 2015. Presenter, “Women Writing Their Lives,” Erma Bombeck Writers’ Workshop Fundraiser (Dayton, Ohio), March 2015. Presenter, Fox Cities Book Festival (Appleton, Wisconsin), April 2016. Presenter, “Finding Your Voice,” Erma Bombeck Writers’ Workshop (Dayton, Ohio), April 2016.